This is a series of articles explaining the process that was involved in porting Big 5 Software's game Meteor Mission II from TRS-80 to Microbee. Big 5 wrote a number of very popular games for the TRS80, some of which have already been ported to Microbee mostly by enthusiasts back in the day. 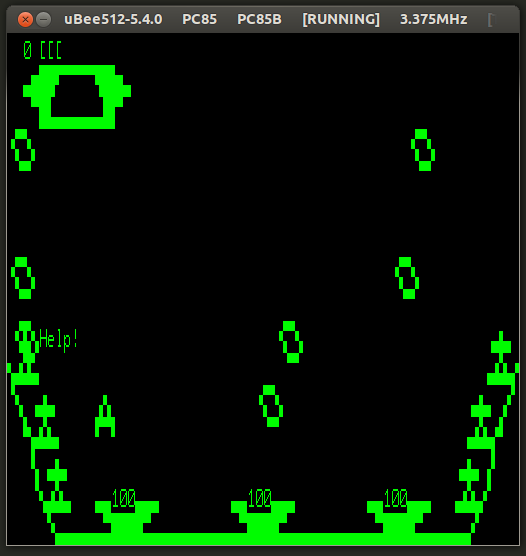 The Microbee has a very similar architecture to the TRS80 and so porting games is certainly possible, but not trivial. This series of articles is intended to show what's involved so that other's who might be interested in attempting porting another game have somewhere to start. Note that this was a learning experience for me and there are almost certainly be better and/or easier ways to accomplish some parts - in which case I'm obviously open to suggestions. Setting up a build environment for a fast edit, build, run, debug cycle and gets to the point where the title screen is running correctly. Adjusting the game speed and fixing in-game sounds and music. Also some final thoughts and tips for if I was to do this again.